Twenty-five. The last birthday that matters, that really means something (until social security kicks in, anyway). At 25, you qualify for a rental car, sans co-sign. It ain’t the same as being able to finally, legally pound shots at the neighborhood bar you’ve been sneaking into for years, but it’s something. 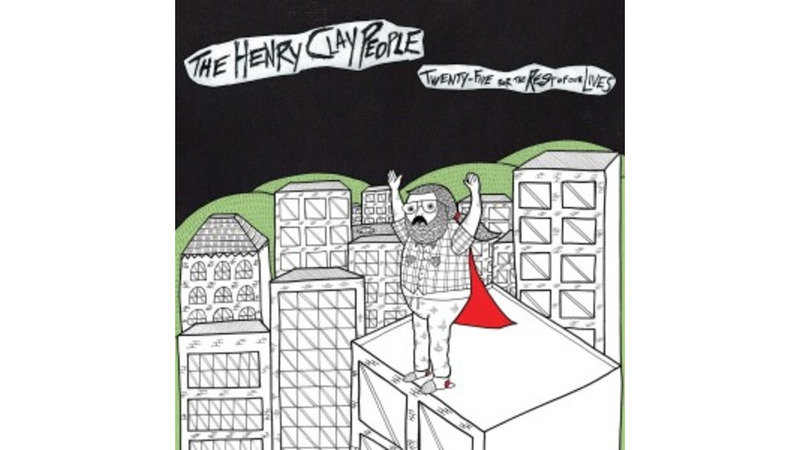 Los Angeles band The Henry Clay People’s latest is a tribute to this sweet spot of early, post-college adulthood, all snarling punk vocals, jackhammer bass downstroking and crackling, hi-gain guitars that cut like coke-mirror razor blades. The short days and long nights, the drunken mishaps and ill-advised ephedrine benders—they’re all here, ghosts of a more reckless, carefree time when the band was in it for the buzz and nothing else. This is a blitzkrieg (bop) of a record, a gasping sprint through 11 songs in just 31 minutes—frenetic and kinetic; bratty, naive, unapologetically nostalgic, a celebration of youth, rock ’n’ roll, and playing rock ’n’ roll while clinging to youth. Toward the end, the album does get a bit exhausting and monotonous, inspiring the same kind of anxious, hollow feeling you might get watching the sun creep unforgivingly over the horizon after being up all night chugging whiskey and smoking cigarettes around the backyard fire of some spontaneous after-hours house party. But it all works in context. On Twenty-Five for the Rest of Our Lives, The Henry Clay People chip away at the same rich, nocturnal territory rock ’n’ roll bands have been mining for years, from Mick Jagger screaming, “the sunshine bores the daylights out of me,” on the Stones’ “Rocks Off” to The Replacements’ all-revved-up-with-no-place-to-go lament “Shiftless When Idle.” But instead of being right in the debauched moment, Twenty-Five is a mostly rose-colored glance back at this period in the life of The Henry Clay People. By that standard, congratulations Henry Clay People—job well done.